Thinking about an overseas ski trip but not sure where to go? For Aussie travellers, the choice can often seem endless. However, there’s one place that still knocks the winter socks off the competition as an all-round ski holiday destination. Aspen, Colorado stands out as a top choice for five reasons. 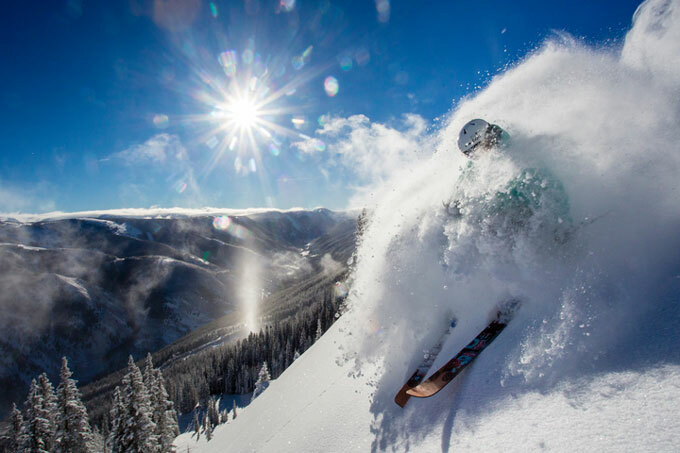 When you buy a lift pass to “Aspen” you gain access to not one, but four, ski resorts in Colorado. The ski areas of Aspen Mountain, Aspen Highlands, Snowmass and Buttermilk are collectively known as “Aspen Snowmass”, and are located within 20-minutes of each other by free shuttle bus. Each area is unique and awesome in its own right – Aspen Mountain (known as Ajax to locals) towers magnificently above its historical silver-mining town, while Snowmass has the longest lift-served vertical rise in the US. 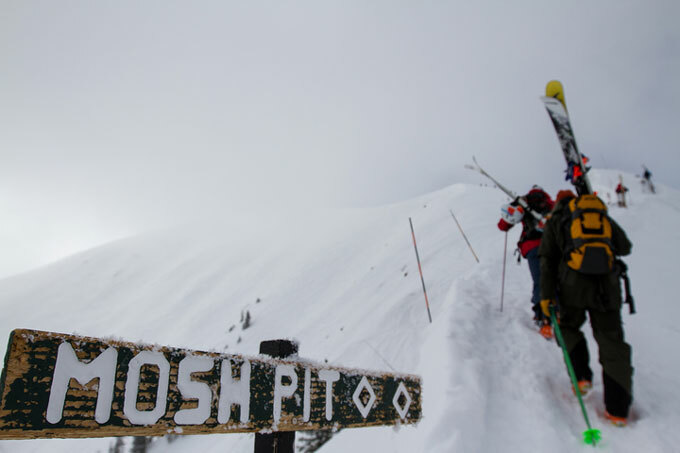 Aspen Highlands has incredible backcountry skiing, and even the relatively small mountain of Buttermilk boasts an Olympic-sized terrain park that hosts the Winter X Games every year. For advanced skiers look for a challenge, Aspen has some of the meanest mogul fields in the world (think a football field of moguls, each one the size of a small car). Backcountry skiers will also delight in hiking up the 3813 metre-high Highlands Bowl, to ski its legendary steeps in untracked powder. Speaking of powder, Aspen logs an average 7.6 metres of snowfall annually, which is almost four times the snow recorded in Australian resorts (Thredbo gets about 2 metres annual snowfall). That means you’ll be four times as likely to get a dump of fresh snow! 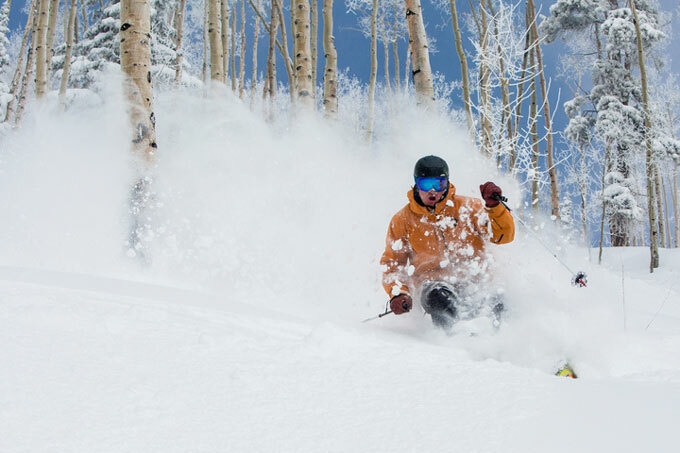 The high elevation and cold temperatures (average temperatures range between -12 and 2 degrees Celsius in January) keep Aspen’s snow fresh and dry, so it’s common to ski deep powder on clear bluebird days, and you will find untracked stashes for many days after a storm. Aspen is a town known for its lively nightlife and dining scene. Forget overpriced American ski cafeterias – this is where Nobu opened his first restaurant outside Beverley Hills. His sushi restaurant, Matsuhisa, is a top pick for cashed-up visitors, while the White House Tavern and J-Bar at the Hotel Jerome offer excellent pub-style food for those on a tighter holiday budget. For more casual dining try Venga Venga Cantina food truck in Snowmass village (for some of the world’s best burritos) and the Big Wrap in Aspen town (fresh and filling lunch for less than $8). For après antics in a swanky setting, grab a cocktail by the pool at the 39 Degrees bar at the Sky Hotel. The ski parties here are legendary. 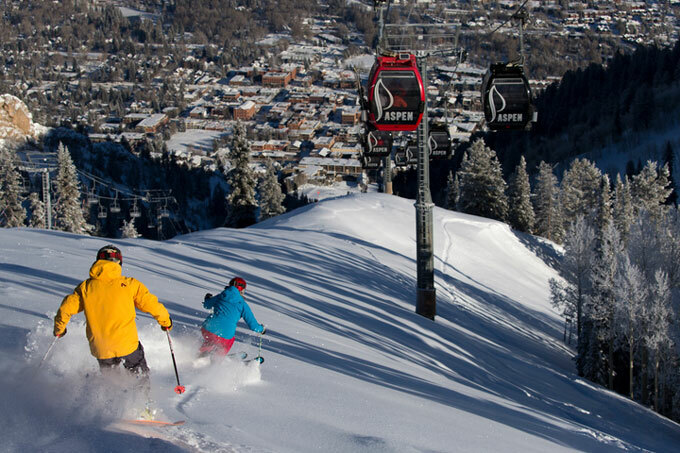 Considering the variety of skiing and nightlife it offers, Aspen is great value for money. The “Ski30” pass allows unlimited skiing and riding for up to 30 days over the four mountains, plus two free days skiing at Thredbo in Australia. If you book before 30 August, you can take advantage of Aspen’s “super early purchase offer” and buy the 30-day pass for just AU$907. Or opt for the“Ski10” pass for AU$733 and ski the four mountains for 10 days, for cheaper than a 7-day pass in Perisher. The bottom line? It’s a steal. So book now before everyone finds out. Head over to the SkiMax Holidays Website to see what deals are on offer.